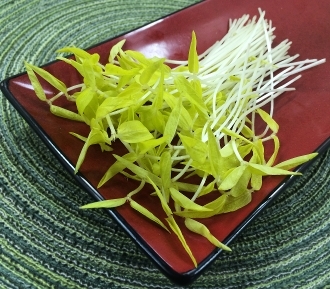 Lively yellow colored leaves with bright white long stems. Fresh mung bean flavor. Exciting ingredient & garnish to any Asian dish, especially Chinese noodles, sushi, veggie stir fry, fried rice. Add contrasting color to green salads.